Many entrepreneurs grapple with the vexing problem of how to increase their business. In this post we’ll show you the 3 main areas where you can increase your business, using the 10% rule. So, what are the 3 ways to increase your business? The average business loses 20% of its clients every year. This means that you have to keep acquiring new clients to fill the pipeline. There are many strategies to find new clients. These include, hiring a sales force, advertising, search engine optimisation, social media, public relations, content marketing, networking and the like. This is where you add more to the deal size. Upselling: You can add more product at a reduced rate (e.g. if you buy 300 bags instead of 100, we’ll give you a 20% saving on the bigger order). Cross Selling: You can add different but related items to the one you’ve just sold (e.g. if someone bought pencils at your shop, you could add an eraser, sharpener and pencil case to the mix as well). Both upselling and cross selling will increase your deal size and your profits. This is the sweet spot and the most cost-effective business to have. These clients already like and trust you so they are more amenable to any future offers you may have. To succeed with repeat business, one has to have a great customer relationship management strategy to ensure that your clients are happy and become raving fans. Obviously, this means that your product or service has to be awesome or they will leave to go to another supplier. What’s great about raving fans is that they also become advocates for your business and will tell their friends about it. 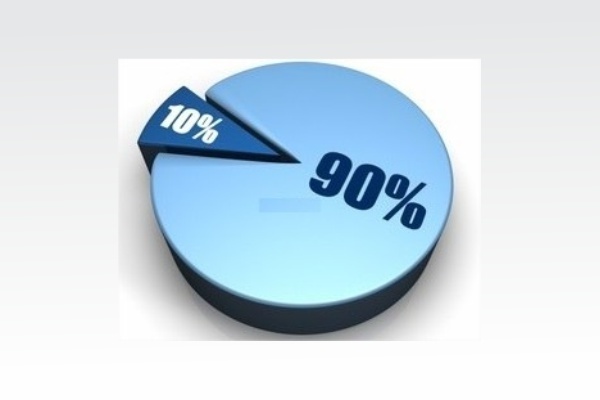 So, how does the 10% rule work? You don’t have to take quantum leaps to increase your business. Small incremental 10% shifts will give you a 33,1% increase in your current business. Let’s show you how it works by way of example. Imagine that you currently have 1000 clients and they spend R1000 every time they interact with you and they transact with you twice a year. So, now lets say that your business increases by 10% in each area. You’ll probably agree that 33,1% is not a bad return for an extra 10% effort in each area … new clients, upselling and cross-selling and repeat business. So, think about what you can do to increase the value in each area by 10% or more.